Scholarships are a great chance to go to that wonderful college, university or for other courses which you might not normally be able to afford. So in order to get a scholarship, you usually have to take a test and you need to clear. Here is how you can be prepared for the test. Many time a question in our mind that is how to prepare for a scholarship exam. First, you will need to decide what you want to become, and take the corresponding classes. For example, to become a scientist, you will need to take science and math courses. Also, you can get exam materials online to know what to study. 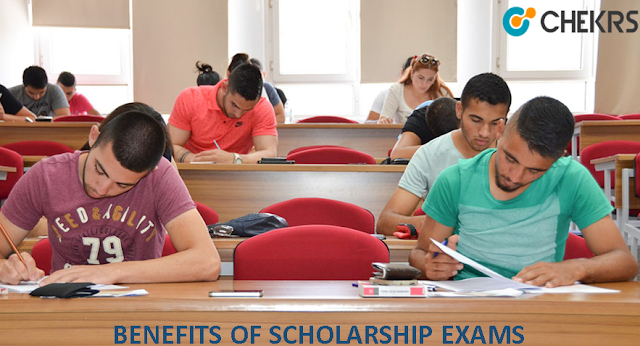 Scholarship Exams in India- We provide a list of Scholarship Exam offered by state and central government besides that offered by Indian companies and other organizations to pursue academics in India or abroad. There are some benefits of scholarships. 1. Some colleges have reserved seats for Scholars. 2. When you apply for any job or interview you can add this achievement in your resume. 3. Your college fee will be funded by organization or govt. agencies. In short, you can continue your further study from any big Institute. 4. Another benefit is that you enjoy discounts on books and other study material. 5. You get higher study facility in a low amount. 6. The examination allows a student to know where he or she stands. I hope this Post will definitely help you to understand how many scholarship exams conduct in our country. If you want to know about eligibility, and other detail about any scholarship exam then visit www.schools.chekrs.com. 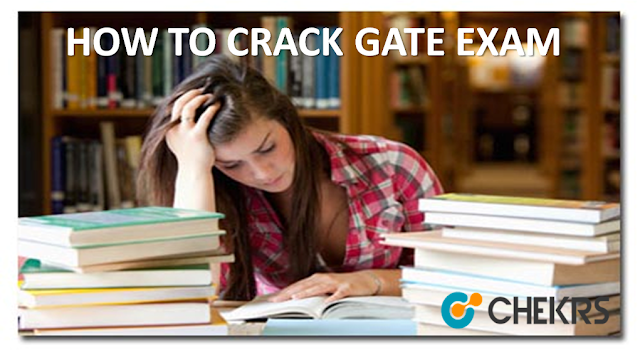 About Gate ExamGATE stands for “Graduate Aptitude Test in Engineering”. It is an all India examination administered and conducted jointly by seven Indian Institutes of Technologies and Indian Institute of Science on behalf of the National Coordination Board – GATE. Scope of GATEMany private institutions specify GATE as the compulsory Qualification even for admission of self-financing students to postgraduate programs in India. Some Government Agencies or organizations prefer GATE score as a requirement for applying to the post of an Engineer / Scientist. High reputed universities who are in top 100 globally also consider GATE score for the admission in M.tech. Or M.S program. IIM also consider the GATE score for admission to their fellowship program. PSU’s also consider the GATE Result and offer high package. Indian Railways is one of the major employers in the world with its calculation of employees and the area covered by it. Openings in different categories, it recruits thousands of people to fill the vacancies in each category. The Department of Railways Government of India owns and it’s the entire network of Railways in India. And want to information for those students who are searching the job in railway department.